Five readers love this post. In 2017, Flaviar, the “Club for Spirit Enthusiasts” released its very first batch of proprietary Scotch, which they called Son of a Peat. In whatever boardroom they used to make the decisions about the release they decided to go big and introduce one of the “peatiest” offerings available. Released only to their membership it was embraced enthusiastically by their enthusiasts and sold out almost immediately. We had a chance to sample that batch and gave our opinions here. 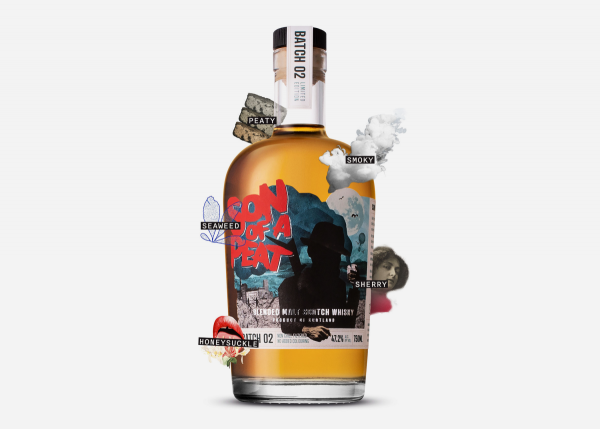 This year, Flaviar released their second offering, called Son of Peat Batch 2, and it promises to be even better than the first release. According to Flaviar, they’ve “turned the peat volume to eleven,” while at the same time adding a dash of maturity, through some time in Sherry casks. The blend is made by selecting different Scotches from “Islay, Speyside, the Highlands and the Islands.” Each of the whiskies that is used is hand selected and blended, and so the release will be completely unique and unlike anything else on the market. Ultimately, the result is a 47.2% ABV, super-peaty, well-balanced Scotch that Flaviar can be proud of, and that its members will be very happy with. This one is also sure to sell out soon and was only made available to Flaviar members this Monday, March 11. Hopefully you were able to secure a bottle.